Our vision is to be A Brilliant Civil Service. One that delivers Improved Outcomes for the public, through Effective Leaders and Skilled People, in a Great Place to Work. Every month, this award will recognise those teams and individuals whose work is helping us to realise this ambition. In April, the award will focus on A Great Place to Work. Entries will close on Wednesday 24 April. Each month the award will be judged by John Manzoni along with another Permanent Secretary. Visit the A Brilliant Civil Service page on GOV.UK for more information on the Civil Service vision. Please speak to your internal communication team if you have any specific queries. 10. 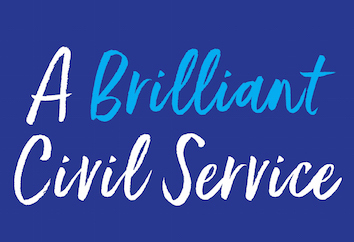 Why does the work of your colleague or your team deserve a Brilliant Civil Service Award for A Great Place to Work? Please clearly identify the challenge faced, actions taken and the outcome (approximately 350 words).